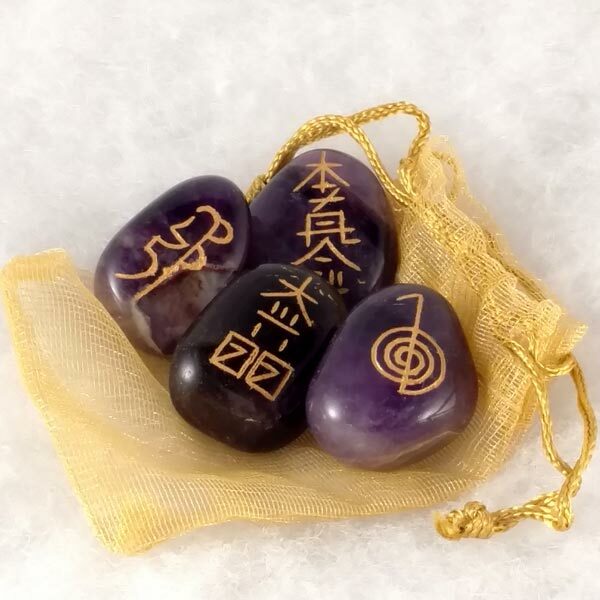 Set of four Reiki Symbol stones. Kits are fully Reiki charged when they arrive to you. Available in Rose Quartz or Amethyst. Stones approximately 1-1/8 inches in size. Includes shimmery golden net bag. Individually hand carved with metallic gold accents.